«Dream Theater» by Dream Theater is the bands twelfth studio album, and it’s their fourth album with Roadrunner Records. Its release date is September 24. This is the second album recorded with Mike Mangini as the drummer in the band, however it is the first where Mangini participated in the writing process from day one. The album is the first self titled in it’s career, and us prog nerds just love some fun trivia; 20 years ago another famous prog band, Genesis, released their self titled album. It was that bands twelfth studio album. The album also contained 9 tracks. Obviously this is just pure coincidence, it’s just some fun trivia for you all. Now, there may be some questions as to why self titled this far into their career. When a band names an album after itself, it’s usually the album that introduces the band to the world, or an album that signifies a complete rebirth or re-imagining of what the band stands for. For some more pretentious bands it may even be signalling their magnum opus. For others it may just be a complete lack of creativity. Some bands have no self titled albums, others have multiple. Only history and time will tell what Dream Theater’s eponymous album will be viewed as by the fan base. 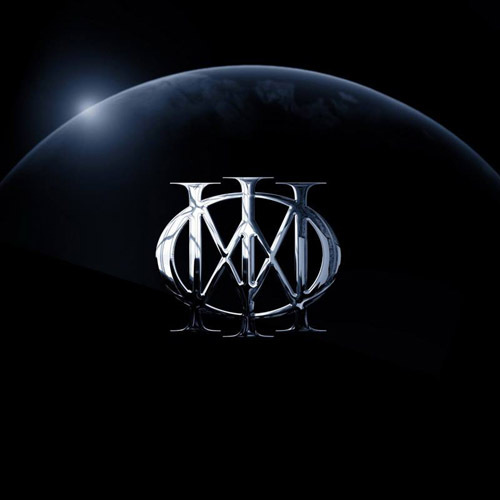 The band themselves wish for this album to define what Dream Theater is in 2013, what defines them as a band, and that’s why it’s called «Dream Theater». Welcome back, everyone. It’s been two years, and that means it’s time for a new Dream Theater album review by your friendly neighborhood fan club «journalist». 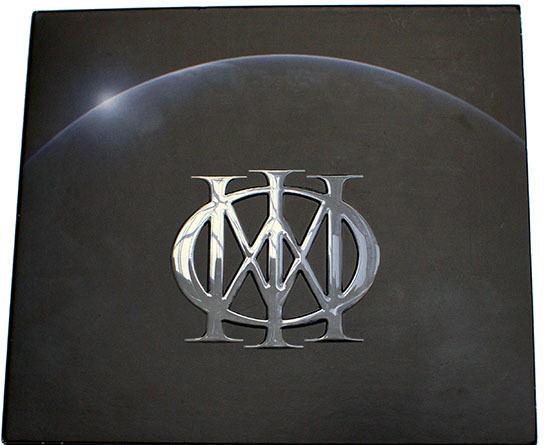 Just like with Systematic Chaos in 2007, Black Clouds & Silver Linings in 2009 and A Dramatic Turn of Events in 2011, I will bring you one of the first thoughts on the new Dream Theater album. There are still a few weeks left until the release date at the time of writing this, and the fan base is anxious to hear what the album sounds like. My hope is that this review will give some insight into the contents of the album, and how it stacks up as a Dream Theater album. Who am I, you might be asking, and why is my word of any worth? Well, I’m a fan just like many of you. I’ve been a fan since at least 1997, although I was exposed to Dream Theater at a much earlier stage by my father. Since about 2001-2002 I’ve been heavily involved with the DTNorway fan club, producing fanzines and building and maintaining our internet presence. In 2005 I produced and directed the international fan clubs project «A Walk Beside The Band», a bootleg / home video style music DVD containing several live video recordings of complete songs, as well as interviews and backstage tours of most of the band members. So yes, I’m a fan, and as such I might be heavily biased towards the band and whatever they release. This review will be no different than the ones I’ve done previously. I will be honest, and I will give you my thoughts. I will talk about the album in detail, and I will spoil some of the surprises. If you really want to experience the album for yourself for the first time without any preconceived notions, you should not read my review. You may not like my writing style. You may find my opinion to be arrogant and snobbish. This review is written for the fan who is just too curious and too impatient. There may be errors, I may have heard wrong or interpreted wrong. What’s in this review is my subjective opinion, and as such this may not coincide with your opinions. I may nitpick, but it’s nothing personal against the band or the fans. I’m not a native speaker, so my english grammar is far from perfect. Please consider my review as a whole – as I considered the album as a whole. First things first. The album is definitively of a different feel than the ones that preceded it. It’s filled with something new and yet familiar. My initial reaction to it was that it was much heavier than I expected, more symphonic and cinematic. There’s a certain level of energy that the album rarely dips below. It’s unmistakable Dream Theater, but at the same time it’s an evolution to the sound from what they’ve previously have done. There are obvious nods to their earlier work, there are familiar embellishments that allows for the listener to instantly recognize the band their listening to. The signature sounds that makes up the essence of Dream Theater songs are all there, with high velocity guitar and keyboard solos, breakneck rhythm sections and changes, rocking riffs and emotional journeys through a lot of different soundscapes. This is Dream Theater. And all the while that all of this familiar stuff is clearly there, there’s enough new stuff here to pique my interest. I’ll admit that the first few times I heard through the album, I was puzzled. It didn’t grab me instantly. It just felt strange. It’s like when you try on new shoes. They fit well enough, but you haven’t really adjusted to them yet, so they cause some discomfort. But once you’ve walked in them a few times, they start to feel familiar and fit you perfectly. This kind of feeling was essentially my reaction to the album. There was the smell of new leather and it looked so good, but something just felt «off». But the odd feeling vanished quickly after a couple of listens, and now the album fits comfortably in my collection. This is not «A Dramatic Turn Of Events 2». This is a much more sonically even album, with most of the tracks retaining a similar kind of energy throughout. It’s also a much heavier album overall, but not really the heaviest they’ve done. Heavy might be the wrong word, it’s an album that is in-your-face and loud, it’s aggressive and emotional, it’s cinematic and big. When put together with the other albums from the Roadrunner era, it still blends in quite neatly, so it retains the aspects that has defined Dream Theater since they switched over to Roadrunner. It retains a certain musical aspect that’s become a signature of later Dream Theater. At the same time it’s also an evolution with layers upon layers of new elements for the attentive listener to peel off. However, the songs have an average running time of just under 6 minutes (excepting the big epic on the album which clocks in at 19:15), and whereas there are many different sections to the longer songs on the older albums, the seams between them were sometimes showing a bit too clearly. I do not get that feeling here, mostly because it feels like the album is written in a more song oriented fashion, and for that reason there’s a clearer focus within each and every song. Shorter songs don’t need to change up as much to feel interesting, and so they feel more cohesive as a result. That is not to say that there aren’t plenty of progressive music in here, with insane solos and time changes, it’s just «compressed» a bit, structured a bit differently. It’s more concise and to the point, and I must say it feels a lot like they’ve worked to trim a lot of the fat from the songs to make them streamlined and work better than some of the longer songs from their last few efforts. It’s almost as if it’s a callback to the earliest Dream Theater albums – I would almost say that the best way to describe this album is an album that sounds like «Systematic Chaos» or «Black Clouds & Silver Linings» but has the song writing structure of «Images & Words» or «Awake». Whether or not the quality of the songs themselves will hold up to history’s scrutiny remains to be seen, but as of right now I have to say that these songs are a neat collection of good tracks, and there’s not a single miss among them. They’re all very strong on their own merits, and together they blend together very well, making up a concise and fulfilling whole. This is clearly also more accessible album, due to the focus being more on the songs and the songwriting. Maybe a bit more mainstream. For the fans expecting more of the most extreme technical aspects of DT, there are plenty of sections to appease those wishes as well, and better yet there are layers all over with things to discover even if the section doesn’t seem that technical. It’ll take the listener a long time to unravel the intricacies of the drum patterns, for instance. The album has clearly defined separate songs, with no segues between the songs. I think it works better because of this, because segues have a tendency to sound weird if you play single songs, and this album is very clearly song focused. I’ve also seen people state that this is a concept album – there absolutely seems to be a theme here, but I’m not sure if it’s a concept album as such. There is a clear red thread through the album though, and as such it might very well be called a concept album, but not in the way of where it tells a story like «Scene from a Memory» was, but in the way that the songs have a common denominator in that they talk about related subjects – some songs talk about internal personal struggles, others talk about the solution to such problems. The theme of the album seems to be about living life, living through struggles and hardships, and accepting the help and love that is given to you which in turn makes living life easier. Some songs are «problems» and other songs are «solutions». It’s up for interpretation, but there’s seems to be a strong connection towards spirituality and religion here. I’ll come back to this in detail in the song by song analysis section. Most of the song titles are very clear as to why they’re named what they’re named – it’s usually the centerpoint of the chorus itself: «I can’t escape from the enemy inside» – «standing on the sideline watching through the looking glass» – «be my guide so I can see the bigger picture» – «someone save me, look behind the veil«. There are many different styles of songs on this album. We have pure metal songs, we have power ballads, we have big and bombastic songs, and we have the complex instrumental progressive songs. There are emotions aplenty. It’s just that the emotions confined within a single song are restrained, there isn’t much of an emotional rollercoaster here. I’m not saying that’s bad, it’s just different from what we’ve come to know from Dream Theater in the later years. It’s a refreshing change, more akin to how their first few albums were structured. I very much prefer this type of song writing, personally, so I’m fairly happy with the result. Progressive rock and metal doesn’t have to be all about songs over 10 minutes long. Actually, I think I just figured out what felt so strange about this album when I started listening to it. I came in expecting «new Dream Theater», with the long songs and different sections and styles and excessive instrumental parts, and what I got was «older Dream Theater», with shorter songs with just a singular tasteful solo or two. Of course, it still sounds like «new Dream Theater», it’s got the sonic structure of a band that has evolved through its existence for just a few years short of three decades, with several line up changes and the inevitable changes in influences throughout that time. And to be honest, I prefer the shorter song format over having long songs just for the sake of having long songs (as it could often feel like on albums like «Systematic Chaos» or «Black Clouds & Silver Linings»). There’s also the matter of loudness – this is a very loud album, and the loudness caused a bit of hearing fatigue for me for the first few listens, so I had to take the album in slowly and piece by piece and digest it that way to be able to appreciate it fully. And it’s not because it’s a very complex album – it’s much less so on the surface than «A Dramatic Turn of Events» was for instance. It’s very densely layered with «information» though, and that combined with a loud master makes it a bit hard on the ears. Sonically it’s also a much more guitar driven than what we’ve gotten accustomed to, with the main focus lying firmly on the guitar. The guitars are really up front and center. There are plenty of very interesting guitar riffs, some grooving and rocking metal riffs, others being more pop-rock inspired. There’s also a good mixture of distorted and clean (acoustic) guitars. The guitars feel fresh and new, not necessarily new in the sense that it’s never been done before, but new for Dream Theater and their specific style of music. There are obviously also many different styles of guitar solos. Many of them gave me flashbacks to solos on «Falling Into Infinity» or «Six Degrees of Inner Turbulence», not necessarily because they sounded like those solos, but there was a certain kind of emotion and tone in the solo that just triggered some memory. In my opinion, this is a very good thing, because for me it shows that the melodies in the solos (and elsewhere) are working on an emotional level. The keyboard is much more subdued, often relegated to pads and chords, or tasteful piano play, but Jordan is still very present. As a plus, there’s a lot of organ keyboards. I love some good rock organ sound in my prog. There are the signature Dream Theater unisons at breakneck speed, there are the thousand notes per second keyboard solos that are hugely impressive and yet extremely melodic, but compared to previous albums this decade, there are fewer of them, which in my view isn’t necessarily a bad thing – this allows for the songs to shine on its own merits without the technical mastery taking up all the space. Of course there are times where Jordan adds a flourish that just has to bring a smile to your face, and it wouldn’t be a Dream Theater album without those moments. There are also several excellent piano parts (especially the drum sticks and jazzy piano section of the big epic – chills! ), and a very interesting ambient section in the middle of the big epic. As for vocals, I feel there could be room for more to be done with them. They’re in some places less melodic than before, and they sound somewhat processed (with effects) and sometimes they just drown in the bombastic music. I oftentimes end up feeling the vocals are just a part of the chord instead of a melody structure on top of the backing. It seems to drown in the sonic structure of the song instead of being the centerpiece we’re supposed to pay attention to. It may also be that the vocals at times processed too much with effects, and often buried in the mix. There are sections that unfortunately are a bit predictable and maybe cliched. In some ways you may look at it as signature moments so it’s natural that they should be there, so I completely understand why they are written and performed the way they are. If anything, I would say that James LaBrie is doing an excellent job with what he’s given to work with, and the way he structured the vocals and the phrasings fit the songs pretty darn well even if it’s a bit on the safe side. 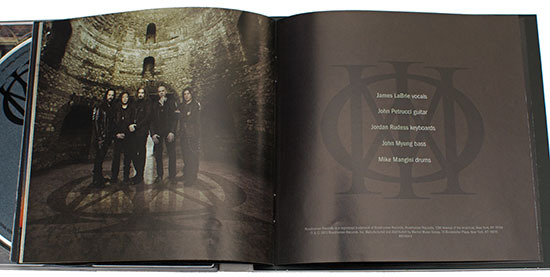 I find it unfortunate that the vocals take a sort of passenger role on this album, as I’ve always found the vocals to be among the most interesting parts of Dream Theater, and James LaBrie has a voice that I feel melds well with the rest of the band; he’s a perfect complement to the sonic structure of what makes Dream Theater «Dream Theater». On this album the vocals are in many places much of the same that we’ve gotten before, which is in contrast with all the new stuff that’s happening in the other instruments. I think that’s my main issue here actually. There’s so much new and interesting on this album, and I wish they’d use more of the type of singing James does on his solo efforts. James does a very good job, but I guess I just expected more after hearing the reinvigorated «A Dramatic Turn of Events», and the contrast with how fresh the other guys sound. But when the vocal is given breathing space in the songs, they truly shine, and there are some awesome sections especially in the big epic that is just spine chillingly good. I feel I came off as complaining about the vocals here, and I didn’t mean to – there are plenty of strong vocal melodies on this album and there’s a strong performance from James. Along for the Ride is a great showcase for James, The Bigger Picture is among his best work of recent times and Illumination Theory is just amazing! Mike Mangini gets to shine on the album as well, although I do think the drums sometimes have a sort of mechanical sound to them (as though they are digitally triggered), but I suspect this is just an effect of compression and recording technique and Mike Mangini’s superhuman playing abilities. It’s a shame, because although Mangini truly knows how to play his drums, the mechanical feeling takes away a bit of the groove and dynamics I like about live and unprocessed drums. It’s well known that groove is often in the little imperfections. When every snare hit sound like they’re hit exactly on time with the exact same force, it becomes mechanical. However, it’s a minor (and admittedly completely subjective) thing, and it really doesn’t subtract much from the album itself. The rhythms otherwise are tight and strong, with a lot of different stuff going on in them. Even the seemingly simplest heavy rhythm is embellished with so many small fills and things that will take me years to unravel. And the complexity when the band gets going is just mind boggling. Mangini really shows of his excellent rhythm skills on this album, and has once and for all proven why he was chosen as the drummer for Dream Theater. Albeit at times it does go a bit overboard; sometimes less is more and getting pounded with double bass drums can become tiring. But impressive nevertheless. Mike Mangini is truly a master of his trade. And let’s not forget John Myung. Very much in place, and they’ve chosen to have several sections on the album that’s driven by bass and drums, with a solo on top. I love it when they do that. I think this is the reason why «The Looking Glass» and «Surrender to Reason» both are among my favorite tracks on the album. «Surrender to Reason» truly is a showcase for John Myung as such, because he actually outshines John Petrucci in Petrucci’s own solo section in that song. To those who have complained that Myung has in many ways become less audible or noticable on each successive albums, fret not, because this album will clearly disprove that notion. Yes, obviously there are still many sections where he just follows the guitar (or the guitar follows him, depending on who you ask) but that’s also a job the bassist is supposed to have. Plenty of sections where this is not true, though, and those sections are beyond awesome. How’s the mix and mastering? Well, overall, it sounds really tight and up front and in your face, and a bit too compressed for my tastes. There’s a certain lack of dynamics here that just overwhelms my senses. I saw some comment about how DT doesn’t succumb to the Loudness Wars, and that made me look into it by comparing this album to earlier albums. My perception and a short analysis with some audio tools tells me this is almost as loud as «Systematic Chaos», and definitively louder than «A Dramatic Turn of Events». Luckily it’s not as compressed as some famous examples of the loudness wars like Rush’s «Vapor Trails» or Metallica’s «Death Magnetic», so there’s still a lot of dynamics, but my first listen to the album was tasking my ears, and all I could remember was constant sound. Of course, being such an sonically heavy album it’s only natural. But loudness aside, what about the mix otherwise? It’s a very in-your-face mix. It is big and loud, aggressive and encompassing. It’s raw emotion through instrumentation. The music sounds very good, guitars are up front and center, and everything else is a bit hidden in the mix behind the guitars. Guitars are rich and layered, «like a chocolate cake» as John Petrucci put it and yet they have a certain kind of rawness. Drums are clear, but sounds processed and oftentimes even triggered, which creates a kind of artificial feel to the sound. Bass is at times not very apparent in the mix when there’s a lot going on, they’re a bit hidden behind everything else – but in sections where there are just bass and drum for instance the bass sounds absolutely fantastic. This album sounds best on big speakers – on poor headphones or laptop/computer speakers the amount of noise in the mix will make the entire experience muddied. Orchestra sections and piano sections add to the albums qualities as well, and balances out some of the aggressiveness elsewhere. If I were to describe it in relation to their previous work, it’s an absolute evolution and amalgamation of what they’ve done before. It’s the sound and tone from «Systematic Chaos» and «Black Clouds & Silver Linings» combined with the more concise song writing from «Images & Words» and «Awake», with plenty of new ideas . The result is something old and something new that works on many levels both to bring back old fans, appease existing fans, and to fetch many new fans as well. Packaging: I can only judge the Deluxe Edition packaging, as that is what I have been given for this review. It’s a digipack with two folds and two plastic trays on the left and right side, and the booklet in the middle glued on. The coverart is placed on the front with a stylish metallic majesty logo embossed onto the paper, giving a slight three dimensional feel to the cover itself. The booklet itself consists of 28 pages of lyrics and Hugh Syme pictures. The pictures go with the theme of the album and the songs they’re directly in contact with, such as the picture for Enigma Machine being a picture of a huge machine in an old factory building. Other times they’re just stylish pictures, such as the two cityscape pictures with a majesty bat-symbol, or a helicopter over a city. I think the pictures are pretty nice, even if there’s some small errors in the photoshopping of the source images onto the collage. Because Hugh Syme doesn’t paint these pictures, he gathers source images that will go together and form a new picture, which is neat but also means that you can go and google image search some of the images and find the original sources. I do not mind this at all, because the result is actually pretty cool (even with the flaws) and fit together well to tell a story alongside the lyrics themselves. But of course, if you’ve seen the booklets from «Systematic Chaos», «Black Clouds & Silver Linings» and «A Dramatic Turn Of Events», this booklet will not be much different in how it is designed. But, Hugh Syme has become as much as a trademark for Dream Theater as anything else, and I think he’s created a ton of great artwork. It’s not like there was an abundance of artwork on the earliest albums beside the cover art and the obligatory band photo. I like this packaging, it’s got a charm that just wins me over. 4 out of 5 for the artwork! 5.1 mix: The 5.1 mix is better in the sense of dynamics, much because a lot of the ambience that fills the song is moved around to the back channels. Vocals are also much more clearly placed in the center and is therefore a lot more audible. This isn’t a terribly active 5.1 mix, for the most part guitars, bass and drums are firmly situated in the front, with echos and reverb being placed in the back. Vocals are mostly center, except for some of the backing vocals (such as the callback of «enemy inside» in that song which is placed in the left back speaker). Keyboards and effects are much more fully surround though, with pads and organs covering the entire room, and effects jumping from speaker to speaker around the room. The totality of it is that this mix gives much more breathing space for the instruments, as much of that which causes the «wall of sound» effect is absent in the 5.1 mix since it’s more evenly distributed from different speakers. It also seems to be a mix more dynamic mix – if I switch to the 2ch mix that’s also available on the DVD, it’s much louder. I very much prefer this version of the mix. The 5.1 mix is available in DVD-Audio format as well as a 48khz 448bitrate Dolby Digital 5.1 mix for those that do not have a DVD-Audio compatible player. This is a short but sweet instrumental, much in the vein of «overture» from the second disc of «Six Degrees of Inner Turbulence». It’s very symphonic, with heavy chugging guitars and drums, choirs and orchestral sounds. It’s a good opener, and as I understand it will take place as the introduction track that opens the Dream Theater shows on the upcoming world tour. It has a strong neo classical symphonic metal feel to it (kinda a bit like «Oculus ex Inferni» from Symphony X only with less choirs), and is telling the listener to prepare for the ride that’s coming. Of course, it’s a suite clocking in at 2:42, and it’s got three movements. Yes, there are actually three distinct sections in this song. And we jump straight into it with a straight forward metal track. Heavy and quick riffing, with rapid fire drums introduces the song, and there’s a lot going on with rhythm changes and riffage in the first minute or so. When the vocals enter, we’re in melodic metal country. This will feel familiar to anyone who’s ever heard one of the heavier song oriented Dream Theater tracks from the past few albums. The riffs and the chord progressions are tasteful and interesting, and there’s some cool keyboard interludes between verses and choruses. The song ends with an instrumental section of guitar solos, keyboard solos and unison solos. It’s a very energetic song, with strong riffs, and a memorable chorus. The theme of the song is basically talking about the aftermath of an horrific event which as left the person the song is about with deep emotional marks that haunts them. Post traumatic stress disorder seems to be a keyword here. These memories and regrets are «the enemy inside» the title is speaking of, the internal struggle that has changed the person from what they used to be. The thematics of the lyrics are contrasted with the energetic music that’s backing them, which only strengthens the feeling of the fight with the emotions that the lyrics are talking about. This track is a weird one (not in a bad way, though!). It feels like a remnant of 80s prog rock. I don’t know if it’s intentional or not, but it feels like it could fit right in with the late 80’s or early 90’s style rock anthem style songs. There are even some «aaaaahs» to go around. It’s got a very standard structure, with intro, verse, chorus, verse, bridge, guitar solo, and ending with the chorus. It also feels very Rush-inspired. It’s an energetic track, which kinda reminds me of a mix between «Raise the Knife» and «Innocence Faded», only with a higher tempo and double bass drum beats. The guitar solo also feels very much like it could live on «Falling Into Infinity», as it feels like the guitar solo in «Raise The Knife» only done in the Allan Holdsworth inspired way of the guitar solo from «Trial of Tears». I know, I know, I’m overanalyzing. On this track I feel the instrumentation may be a bit excessive at times. There’s a lot of stuff going on with both the drums and the keyboards that distracts us from the rest of the song. But aside from that, it’s actually a good track, with interesting riffs and a sweet guitar solo; I really like these kinds of bass backed melodic guitar solos that John Petrucci does so well, they are with a certain emotion that just screams quality. But did they forget to write a proper ending? There’s a chorus and three chords, and done. It’s a bit awkward. Thematically, this song is talking about people who is willing to do whatever it takes to reach their goal of having some kind of fame or being noticed, being the center of attention, people who are not happy or content with being unknown and have no shame at how they achieve that attention. It’s about seeking fame, and being self-centered because of it. Instrumental! The album’s second instrumental, if you count the opening suite. This is, however, the main «beast», the first true album instrumental since «Stream Of Consciousness» on «Train of Thought». It’s kinda hard to describe an instrumental. What could I say. Well, I could say it starts with a synth playing «C# E D# G etc» a couple of times and then the band kicks in and plays chords based on the same notes the synth played. That wouldn’t really be very descriptive though. Okay, so what is this? What is this not? Well, it’s not really similar to any of the previous Dream Theater instrumentals. It’s much more like the instrumental sections of certain heavier Dream Theater songs, like if you took out the heavier instrumental section from «The Ministry Of Lost Souls», or «A Nightmare To Remember» and created a song from that. So, it’s built up on many different riffs, and there’s a lot of changes between styles and rhythms. It kinda builds up with a couple of different shorter sections, then has a mid section with fast and furious guitar and keyboard solos, then a bass-solo breakdown into a slower and more emotional solo section, before it unravels the song it has built up by repeating the sections the song built up with, only in almost the opposite order. It’s a fun enough track, more because of the groove than the shredding solos, although they certainly do appear here as well, along with many many time changes and polyrhythms to keep you counting for days just to get your head around what’s going on. Obviously the comparison to other instrumentals will be made, and I can see this one becoming a clear live concert favorite, just as Ytse Jam was for many years. Whoa, this one really hits you right in the face when it starts up. No real intro, just «bam», we’re off. Prog metal anthem, is probably the right way to describe it. However, what’s going on with the snare drums? They sound artificial and way too much «in your face». After the short heavy intro, we’re on to a slow and ballad-y vocal and piano intro. I really like the songs where James can shine with emotion, and the piano driven, acoustic guitar driven ballad parts are truly great. No difference here. This is perfection. It’s a prog metal power ballad done right. The chorus is back to the prog metal anthem sound that the song started with, and it’s bombastic Dream Theater at it’s best (or worst, depending on your preference). What do I mean by bombastic Dream Theater? Hmm, hard to explain. Think «The Ministry of Lost Souls», or «The Best of Times» and how those choruses are very soaring and melodic and just with a grandeur that hits you over the head. That’s what this is. It’s big, it’s loud. This is actually a song where James really, really get’s to shine, because it’s his voice that gives the song identity. Without his voice, this song would be nothing more than a wall of sound. And while I have been critical about these types of songs before, it’s the execution that matters completely. Overall, this song works much better than for example «The Ministry of Lost Souls», because it doesn’t feel overdrawn and unfocused. And yet, this is probably still my least favorite track on this album, but it’s still a pretty good song, which I’m sure will find many fans hearts. Thematically, this song is about guidance and support. On how to be able to maneuver through life by seeing that all that happens to a person is a stepping stone on the way to the goal, and that realizing that everything in life has a purpose to lead you to the path to see «the bigger picture». But you have to stay on the path and don’t stray from it to see you reach the goal. Everything you’ve learned and experienced is a step on the way «home». The lyrics also speak about finding ones way with the help from others. There is room for interpretation, but there seems to be at least a bit of religious imagery here as well. But as is often the case with Dream Theater lyrics, they’re written in a manner so as to not hit you over the head with the message, leaving you with the ability to make up your own mind about what they really mean. French horns! Ambient sounds. Space alien choir synth… More horns. Nice long intro. Crashing into heavy riffs. Very groovy. Kinda Metallica-inspired. Metallica infused with prog rock. I can dig this. It’s a heavy song with a groove, and the vocals fit the tune. Chorus is a bit on the cheesy side though, but the song ends with a killer solo section that completely redeems the song from any missteps. The whole song is a pretty straight forward metal song, pretty traditionally built as well. One of the more mainstream metal songs from Dream Theater. Thematically, this song is altering between describing someone who’s apparently a very bad person in the verses, whereas the chorus is a cry for help. Basically it’s describing someone who’s trapped by a monster, and they want someone to find them. It’s about how they’re still clinging on to hope of being found, and that gives them extra strength to survive. It is apparently inspired by the recent stories of long time kidnappings in the media. Wow, this track just screams Rush. Now, it’s been obvious ever since «When Dream and Day Unite» that Rush has been a major influence for Dream Theater, so it’s really no surprise that tracks like this appear in their catalogue, but this is probably one of the closest to Rush-sounding tracks I’ve ever heard them do. It’s a very cool track though. Interesting chord changes and time signature. After a brief intro, there’s a great section with strumming guitar chords and singing, before going into old school prog rock with organ sounds and all that goodness. I love it. There is so much going on in this track, even though it’s only 6 minutes long. This is how I like my prog metal! Constantly evolving, constantly changing, telling a story with melody and music, basically a rollercoaster ride with music. And a very peculiar guitar solo. It’s very old school, not typical of Petrucci at all. This song is probably my favorite on the album. Thematically, this song is of the more philosophical type. It talks about how one can use the struggles and sacrifices for something positive by embracing the idea that everything has a purpose, and the way through it is to stay strong and brave. By being shown the way (by surrendering to reason). It’s actually quite similar to the themes of The Bigger Picture, and there are certain imagery in these lyrics as well that brings to mind some spirituality (or even religiosity), but again, you can choose to interpret the lyrics any way you want. This track is also kind of a ballad, in the vein of Beneath the Surface and Wither. It’s a bit more energetic though, as a bit into the song there are double bass drums and distorted guitars. So, kinda a thing between a straight forward ballad and a prog metal power ballad. It feels very much like a spiritual successor to «Beneath the Surface» in fact, even to the point that there’s a keyboard solo played with a very similar tone. I liked «Beneath the Surface», and this feels like an evolution in the same vein, with some embellishments that make this new and interesting, so this is a pretty good track. It’s also a welcome break after the onslaught of sonic energy that has preceded it. Thematically, the song starts out describing someone who has problems dealing with everything that’s going on around him. «I can’t stop the world from turning around». But there’s a realization that we’re not alone, together we’re all along for the ride, as it were. There’s no reason to give up, and there’s no real reason to cave to the fear and doubt that not being able to control all the events that goes on in the world would induce. Final song, and it’s a big one. Clocking in at a few seconds over 19 minutes, it’s the fourth longest «epic» from Dream Theater (fifth if you count the second disc of Six Degrees as one track). The observant reader might notice that I’ve written that it lasts for over 22 minutes above in the track listing, and surely one of these must be mistaken. Nope, not so. In fact, there’s a little easter egg hidden away at the end of the disc, and I’m not going to tell you what it is. This epic basically consists of five distinct sections. The first, the intro section (Paradoxe de la Lumière Noire), is an epic and slow building heavy symphonic prog metal intro. It segues into a strong heavy metal riff part, which I guess is still part of the first section. Several different driving riffs with different backings (such as choirs and organs – did I mention that I love organs in my rock? ), with fun time changes and rhythm changes. There’s a very cool energy here. This kind of section would often have been relegated to an instrumental section towards the end of a song. Third section (The Embracing Circle) is much different. We’re into ambient territory here. Loads of strange jungle noises and ambient pads, gliding into a soaring and slow symphonic piece. It’s only the orchestra here. Nothing else, for a couple of minutes. This could easily be the score to a romantic movie or something similar (it would fit very well to an inspirational movie on lifetime, for instance). It’s an okay section that drag on a bit, mostly because the melody isn’t really that interesting . Nothing bad to be said about the orchestral arrangements, which are excellent. Fourth section (The Pursuit of Truth). Drums and bass take over, and sends the song into a very staccato vocal driven section. Very cool. We also get a very cool drumstick/piano section, before we go into mad frenzied instrumental section, focused around piano. This is excellent, showcasing the best of what drums and piano can do together. There are great guitar solos and keyboard solos following each other en masse for several minutes, with great backing by drum and bass grooves, and guitars and organs. Finally, we go into a concluding section (Surrender, Trust & Passion), which is kinda built like a happy release. We’re talking lighter anthem section here, everyone singing together. And the song ends with a nice guitar solo. There are some very cool parts in this song, and even for it’s length it’s actually quite well put together. I do not quite understand the need for the extended ambient/symphonic section, but it doesn’t break the flow of the song, so I don’t mind. Thematically, we’re yet again on the topic of important life lessons (seems to be a overarching theme on this album), where the first part of the song tries to get you to answer a couple of difficult questions that basically boil down to «what is your motivation in life». Who or what would you be willing to live for, die for or kill for? The second part of the song repeats some of the messages we’ve heard earlier in the album about suffering and struggles, and accepting guidance and love, opening your eyes and seeing the light. To be able to fully appreciate the beautiful things in life, one has to discover for oneself that one will never really know true joy without also knowing hardships and struggles and have felt pain. There seems to be a red thread throughout this entire album. Let’s look a bit further into this, focusing on «Illumination Theory» as the centerpiece of the red thread. What is the «Illumination Theory»? Well, «Illuminationism» is a philosophical principle deeply rooted in theology. Basically what it tries to argue is that there is some outside force (in most cases God or an agent thereof) that guides or aids the human thought process, and your knowledge about what is truth comes from this divine illumination. So, with regards to the songs we’ve heard on this album, there’s something providing a guiding light which is available to you if you just «open your eyes». In the «Enemy Inside», we see someone struggle with their past actions. In «the Looking Glass» we see someone seeking fame and fortune without regard for their own self worth. In «The Bigger Picture» there’s the sentences «shed your light on me, so I can see the bigger picture», as well as talking about doubt and resentment if one doesn’t let «someone» guide them on the right path. «Behind the Veil» has the battle between a captor and a captives cry for help as a centerpiece. «Surrender to Reason» is also about struggling with past actions, but accepting that something (restless angels, apparently) must lead the way to the right way to live, and to help one get through hardships. 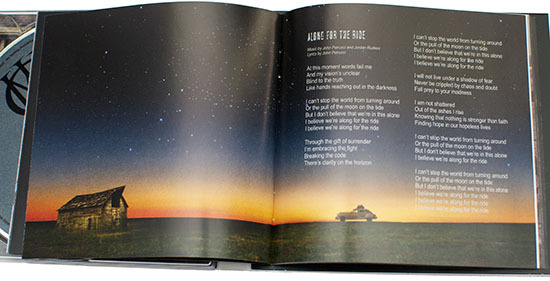 «Along for the Ride» also talks about how we’re not alone, that someone is there with us leading us on the path, and that we’re just «along for the ride». All signs points towards this entire album being a highly philosophical/spiritual/religious themed album culminating with the «illumination theory» that gives the answer that there’s a deeper meaning to all of it, and there’s someone there guiding you and the choices you have to make, if you’re willing to look. Hence the difficult questions – how do the people who have answered the questions know that what they’re doing is right? By grace and love and seeing the light. Now, there’s a certain ambiguity in the lyrics, enough to make it so that you can choose to interpret it not from a religious or spiritual perspective but from a humanist perspective, but I still think the message is fundamentally clear: hardships and living life is easier if you’ve seen the «light» and accepted the guidance and help both from within and from other people/beings. Is this a fitting album to be called «Dream Theater»? 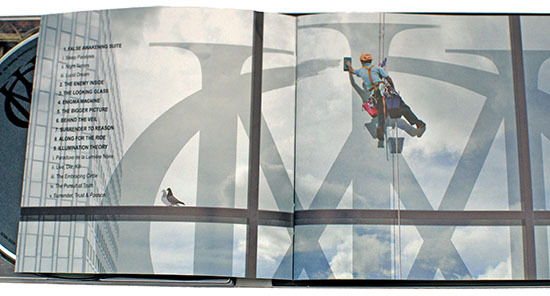 Well, it contains all the aspects of what makes Dream Theater «Dream Theater». It also signifies a sort of change, with something new and something old. Self-titled is viewed as a statement of sorts. For Metallica, their self-titled was the change towards mainstream. And we kind of see that here too. The songs on the album are varied and filled with memorable riffs and solos and vocals. There are parts that aren’t as good as others, but overall it’s a good collection of tunes. Some of the intros and outros are a bit awkward, but that is forgiven because of the quality of the songs themselves. I had to let time work with the songs, because they didn’t instantly catch my attention (there may be several reasons for this and I’m not going to speculate as to exactly why that was), but they have finally sunk in. Especially during the last phase of me writing this review where I analyzed the themes that this album encompasses, where certain elements of the album just clicked into place. Sometimes that’s just necessary, especially when the album is as dense as it is. It’s not the best sounding Dream Theater album thus far in my opinion (I still long for a mix as succinct as «Falling Into Infinity»‘s), it’s a bit harsh and processed at times, very layered, and a bit compressed, so it can become a bit noisy, but when there’s some breathing space for the instruments (like in the more acoustic parts of certain songs) it sounds wonderful. I realize that this type of big and loud sound was something that the band wanted, so I can’t complain all too much about it, but I’m just saying it felt a bit too much for my tastes. Overall it took me a few listens to really warm to the sound of the album, but now it feels right at home. I won’t even try to grade this album, as a grade is basically useless without any sort of comparison. What I would say is that personally, it may not be my absolute favorite album from Dream Theater, but it’s far from my least favorite either. When you have a catalog like Dream Theater does, it’s hard to reach up to the standards of some of the more obvious favorites like «Images & Words» and «Scenes from a Memory», and this album is no exception in that regard. I would say it’s pretty much an above average Dream Theater album, but when the average is such as it is, that’s not bad at all. It’s Dream Theater’s own fault for making so many damn good albums. «Dream Theater» is a great album. It is a refreshing album though, as I’ve missed the more focused Dream Theater that wrote concise and great songs without pouring every idea (good or bad) into a melting pot and pulling out a handful of songs and putting those on a record. There’s enough old and new here to keep any Dream Theater fan happy as well as attracting even more new fans, proving to us all that Dream Theater still has much life in it and will be with us for many many years to come. This is an album that fans will love, I’m sure of it. 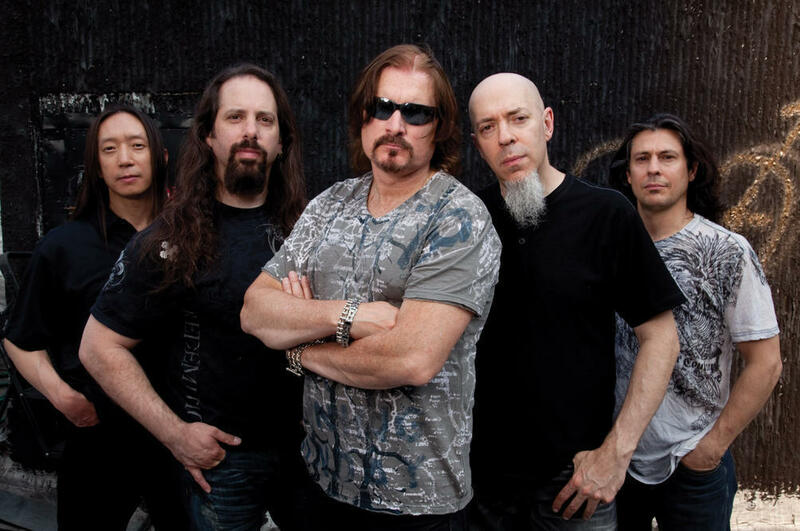 It contains many of the things that attracted older fans (some of which may not have followed Dream Theater for a while) in the first place, and it contains things that will attract new fans to the music. It’s got a soul that shines through the technically complex musical structures, and there’s so much raw energy and emotion that many people will attach to. This is an album Dream Theater can be truly proud of. I hope this review has given you some insight into the new Dream Theater, and I thank you for reading this rambling mans words. Take care, and maybe we’ll meet again in the future. Saw them live for Scenes tour and also Six Degrees tour. Then got busy with career, but have all albums. This new album is the best work they have done in 10 years. Octavarium (song) is good, but this is great. 2 listens and I hauled out all the old stuff and I still say this album is the best since Scenes. Illumination Theory, I think is the best suite in years also and rivals Ocatavariam and Change of Seasons. Got tickets to the Wembley gig and they better play entire album. Throw in Octavarium, Glass Prison, Change of seasons, Metropolis 1 and finish off with Home- you got a Set List that should just about be 3 hrs. You’ve got to be kidding me. It seems you’ve been paid for this review. Because it’s the worst album of Dream Theater. Great review. Thanks a lot. I agree with most of your opinios, but I don’t dig Surrender to Reason at all, I’m affraid. 100% with you as far as the mix of this album. I’m also crazy for Falling into infinity mix but unfortunatelly Kevin Shirley is not an option for DT anymore (God knows why). I was expecting more from this album, but I guess that’s the path they chose to follow since they signed with RR. Great write up! Fantastic read while listening to it. Read listening to it. Best review I’ve read. And I copy you: great above average straight-forward DT album. I was reading your review and then, right in the middle, I have to stop! I need to hear this album to actually confirm that is that good. Thanks a lot! Can’t wait to hear the full album.